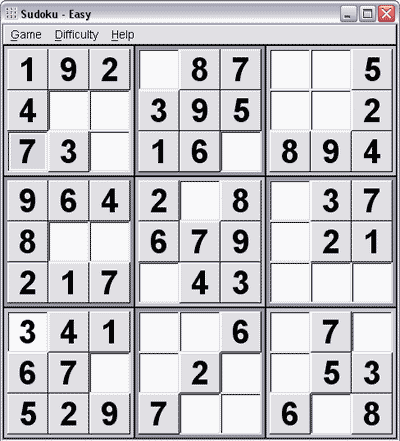 Sudoku Portable is a popular, addictive and entertaining portable number puzzle game. It is based on Sudoku which was created in France over 100 years ago. The game features four difficulty levels (easy, medium, hard and impossible), resizability, check game or solve game options and automatic saving of your game upon exit. After extraction, the complete installation is only 444KB making it a great game to add to anyones portable collection. How Sudoku works: A 9×9 grid houses 9 3×3 grids. Within each 3×3 grid a player arranges the numbers 1-9. A number can only appear once within a 3×3 grid and only once within each row and column of the greater 9×9 grid.